Time for some catching up – this post is well overdue but since in baking chronology is not really that important, I follow the rule of better late than never. So since I moved away from my home country just under 8 years ago, it’s not always easy to spend the holidays with family. Bulgaria, turns out, is not the easiest or cheapest destination to reach from Gibraltar. So the last couple of years we have tried to meet about halfway. We spent NYE together in Vienna last year and this year we decided to all head to Germany for Christmas. Markets, mulled wine, cold – the whole package. And cake because, you know, I simply cannot travel without sampling the local cuisine. But this is not the story I wanted to share. 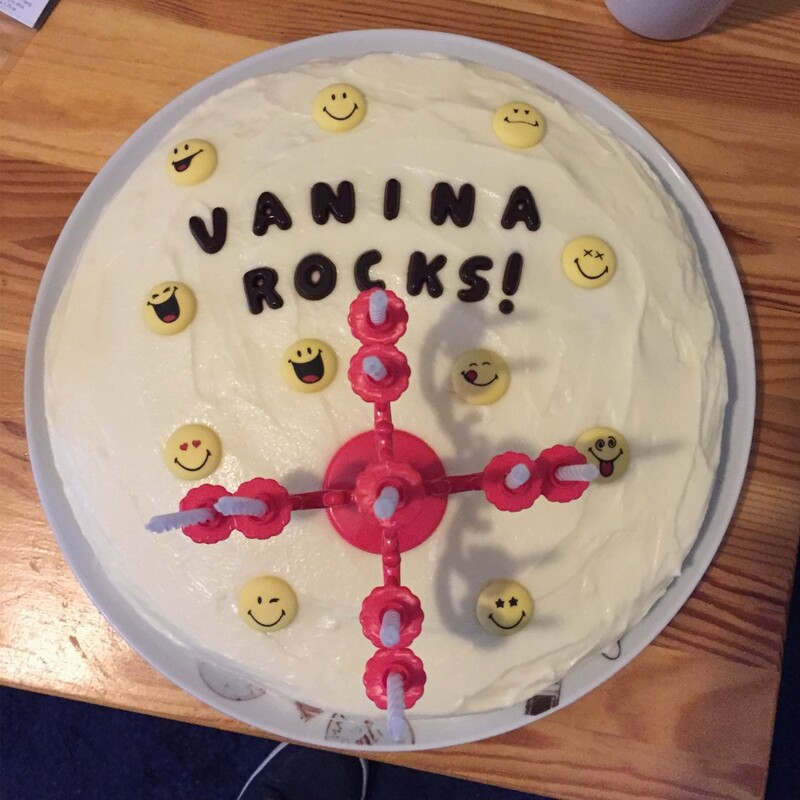 What I wanted to share is how I managed to make a birthday cake for my dear sister while travelling. 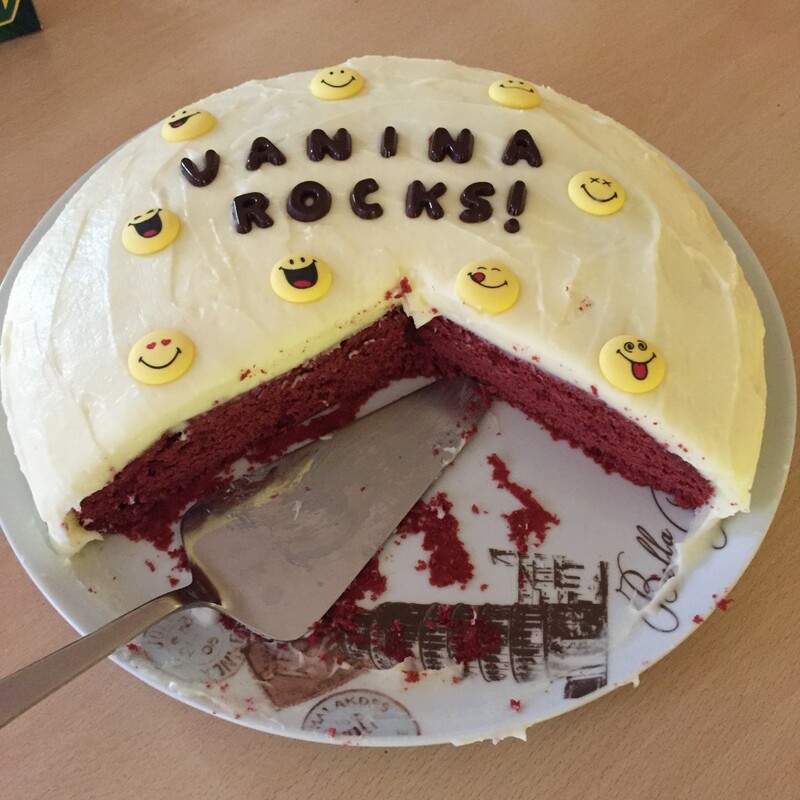 So I had been planning to make her a cake as we were renting an AirBNB in the city my dad is currently living in. But! Because there is always a but. It was a holiday flat so yes, you guessed it. No oven. The horror!!!! We quickly made a plan to use my dad’s landlady’s oven. However, around this time it started daunting on me she may not have all the tools I need. Also, how was I going to fool my sister in order to disappear for a few hours? But I am also super good at solving problems. I quickly delegated to G to save the day. I pretended to be super tired after dinner on our second last night and had previously asked G to take my sister out for a drink on their own. We expected this to be the biggest challenge as she’s not a massive drinker neither does she like going out so much. But miraculously she agreed with no questions asked. I managed to get to my dad’s place, bake a cake and do the icing and be tucked in bed back at the AirBNB before the sister and the boyfriend came back from drinking the wine reserves of Speyer dry. In December I spent a considerable time out of town visiting foreign, German speaking countries. And as a true baker, I was on a mission to sample local sweet delicacies in order to be able to report on them here, and no other reason. Honest. 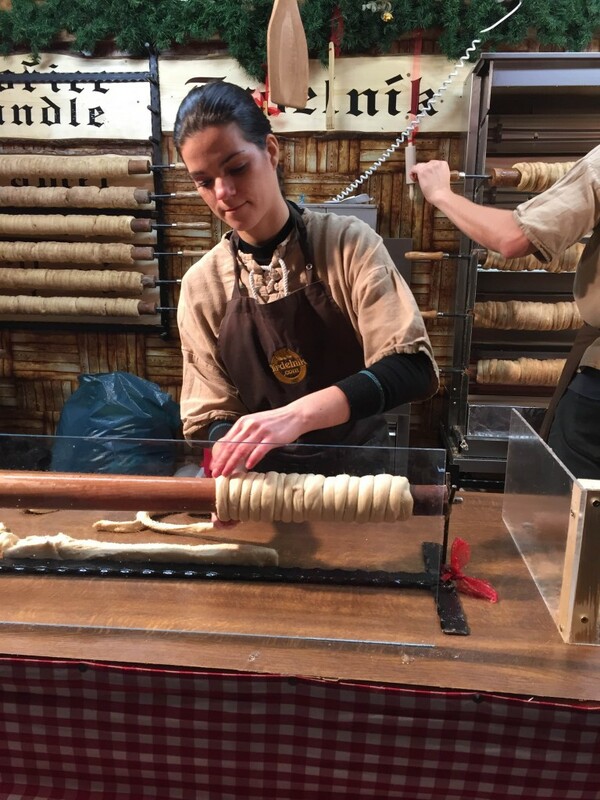 Although the Austrians have no claim over this cake, also known as Kürtőskalács, I am forever grateful that it features in their traditional Christmas Markets. It originates from Hungarian-speaking regions of Romania apparently and is a sweet yeast dough which they roll around a spit, dip in cinnamon sugar (but there are variations to the dips – they can contain nuts e.g.) and bake in a rotisserie. For me, there are only a few things better than digging into some of this chimney cake while it’s still hot. It is divine – soft and fluffy on the inside and crunchy and caramelized on the outside. We discovered it early on and kept coming back. Tip: We decided to save some for breakfast one evening but I recommend you didn’t. It had gone hard so best eaten while still hot! G insisted we had some Sachetorte in Vienna. I however, refuse to give any more attention to this plain chocolate cake as it is already getting way more than deserved. Anyways, the queue at the original Sacher Hotel was about 3 miles long and it was freezing cold outside, so we settled for Cafe Mozart just around the corner from it. 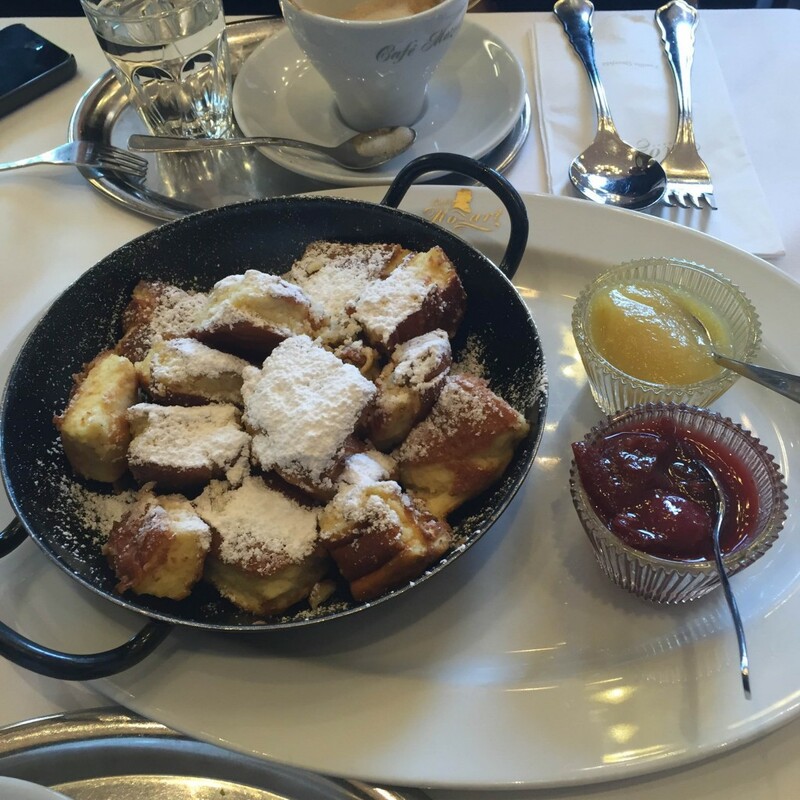 We ordered some Sacher cake but I wanted him to try Kaiserschmarrn – this is a shredded thick pancake which can be served directly in the skillet, usually sprinkled with powdered sugar and accompanied by plum jam or apple sauce (we were lucky, or should I say paid enough to get both). But to best describe it – imagine an incredibly light and fluffy sponge cake prepared in a pan on the hob rather than in the oven. And the best part about it? It can be legitimately eaten as a main course in Austria, not just dessert. Win! We didn’t actually go to Bavaria but they had Rothenburger Schneeballen (or Snowballs from Rothenburg) in Speyer, where we were spending Christmas. I just had to have one – it looked too good to miss out on. 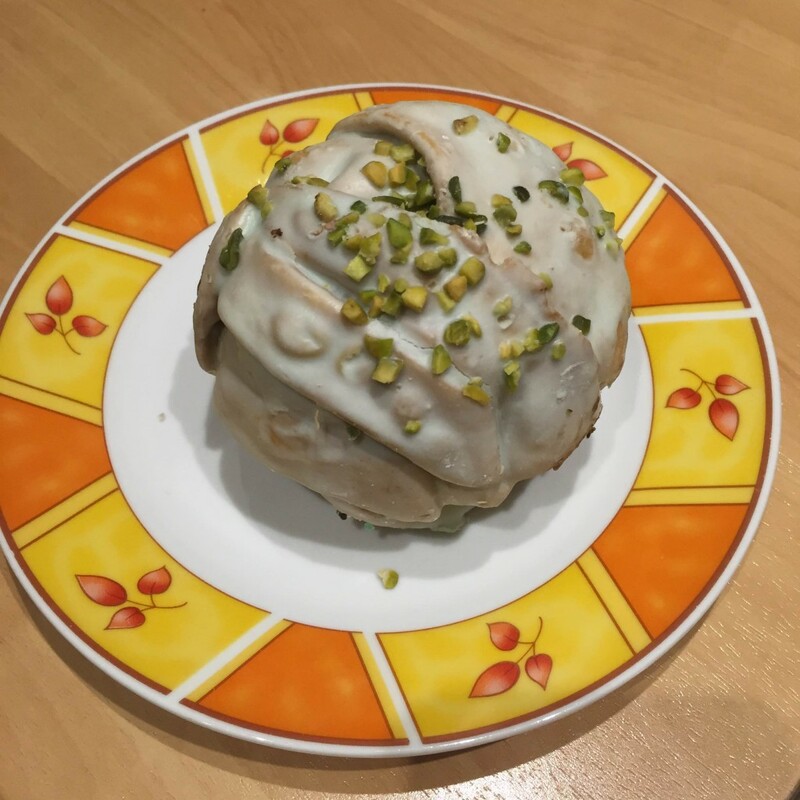 Turned out it’s nothing special – shortcrust pastry scrunched up in a ball, deep fried and sprinkled either with icing sugar or drizzled with glaze. I opted for a pistachio one and there seemed to be some green-ish looking paste in it but it didn’t taste to pistachios too much. I still recommend to try it but don’t expect to be wow-ed by it quite the same was by the chimney cake. It also makes a decent souvenir since it has a very long shelf life and looks better than a fridge magnet. You must have heard of this cake before, also known as a Schwarzwälder Kirschtorte, which is pretty much chocolate sponge, whipped cream and cherries. It sound simple enough but it’s pretty delicious, especially if you soak the sponge in Kirschwasser, a clear cherry liqueur. So when I was told we were going to spend a few days in the Black Forest mountains, you can imagine what was on my mind – I need to try me some cherry cake from the place it actually comes from (or is at least named after – the history of this bake seems to be a little vague). But guess what – I didn’t actually have any for one reason or another. So I am unable to report on it – I did, however, think it important to mention I have at least been there. I did bring some vanilla Kirschwasser so may just make a Black Forest gâteau myself soon. Do you also first think of trying the local desserts when you travel or do you have different priorities? I’d be curious to hear of any interesting desserts you have tried! I am still here and still baking, by the way. I know I have been seriously slacking off around here but loads of baking, 3 business trips in the last 4 weeks, loads of other activities, fostering a tiny kitten and trying to have a social life really took its toll. I am really looking forward to this coming (long, thankfully) weekend which also happens to be Easter weekend. This means 4 days off in which I hopefully manage to catch up on sleep, visits to Spain, maybe a BBQ (weather permitting), and best of all, time to blog! There is a Mother’s Day post, ‘The Big Baking Job’ post, a baby shower post, maybe a kitten post and few more coming. See you soon!